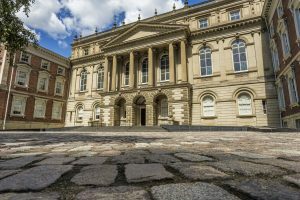 On September 26th, Justice Charney of the Ontario Superior Court of Justice released his sentencing decision in the Ontario Securities Commission v. Tiffin. This sentencing decision followed an appellate decision by Justice Charney from May, 15th, 2018 in which Tiffin was convicted of trading in securities without registration and while prohibited as well as distributing securities without a prospectus. Daniel Tiffin received a six-month custodial sentence as well as being required to pay restitution for the securities he had sold illegally. Mr. Tiffin, who had been under a Cease Trade Order while under investigation for previous violations of the Securities Act, solicited funds from several of his prior clients in the form of several promissory notes. However, Justice Charney, in the earlier appellate decision, held that the sale of these promissory notes was a distribution of securities under the Act. Justice Charney’s recent sentencing decision noted that, since restitution alone would not have qualified as a penalty, as Mr. Tiffin was already under a legal obligation to repay the promissory notes, a custodial sentence would have to be ordered.Following consideration of both mitigating and aggravating factors, Mr. Tiffin was sentenced to a six month custodial sentence with a further twenty four months of probation. The imposition of a custodial sentence in this case, combined with the earlier decision that the definition of security must be interpreted strictly is a cautionary tale for parties under Cease Trade Orders. These CTO’s have the ability to restrict behaviour that may not, at first glance, seem like trading in securities. The court here was clear, if the Securities Actsays it is a security, it is a security and there’s no room for debate. The fact that an appellate court has explicitly held that the OSC’s Cease Trade Orders prohibit restricted parties from engaging in debt financing expands the regulator’s power and oversight further than might have otherwise been thought.